I just returned from a visit to Universal Orlando where my eyes were pointed up in the air. Why? 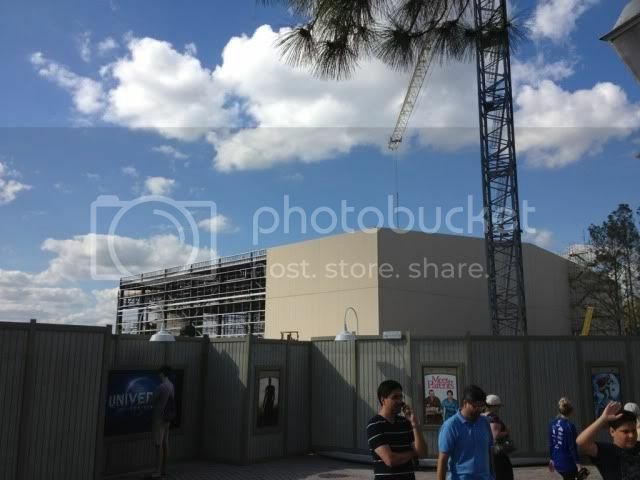 Well, it seems 5-story construction cranes are everywhere at the theme park resort. The resort is going through a transformation and renaissance like nothing we’ve ever seen before. 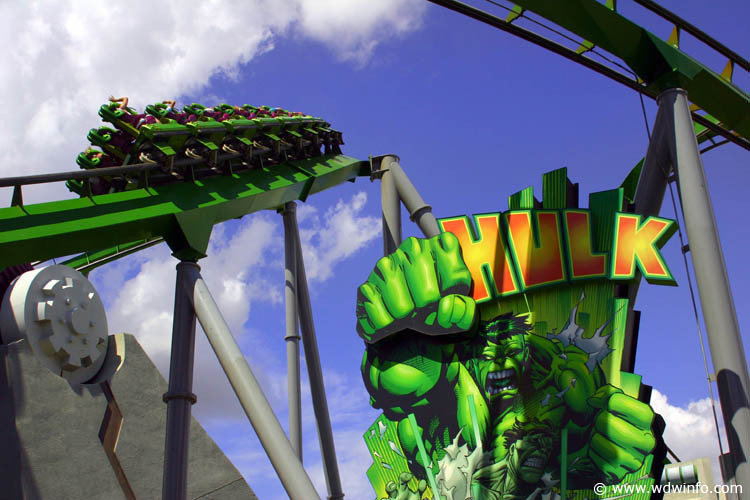 With four major projects currently in the works and another rumor just over the horizon, it’s safe to say Universal Orlando is poised to make an even bigger impact in the Orlando theme park landscape. Continue through the page break and let’s uncover what’s happening at the resort. 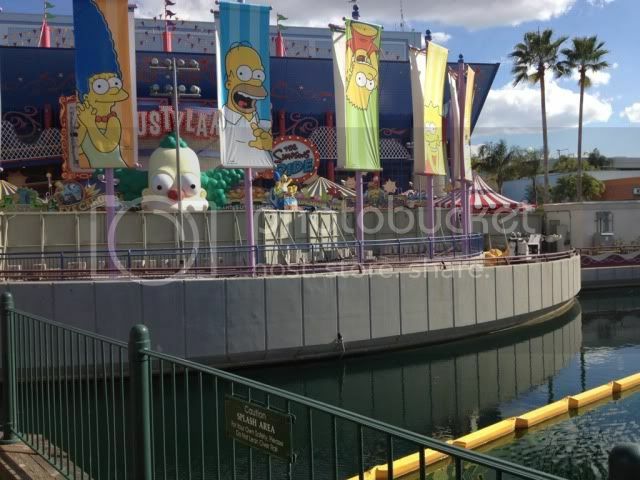 You may recall during our last Universal Orlando update we discussed the rumor of Springfield populating the area around the Simpson’s attraction. Although Universal Orlando has not officially announced the project it’s apparent that Springfield is coming. 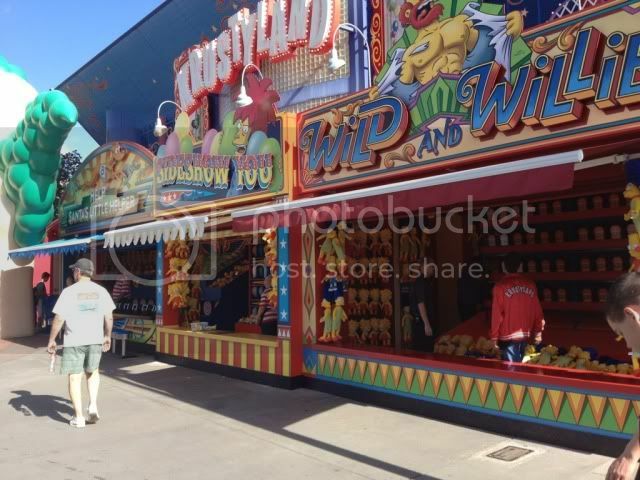 Construction walls, midway style games, and food kiosks are now visible near the main attraction. 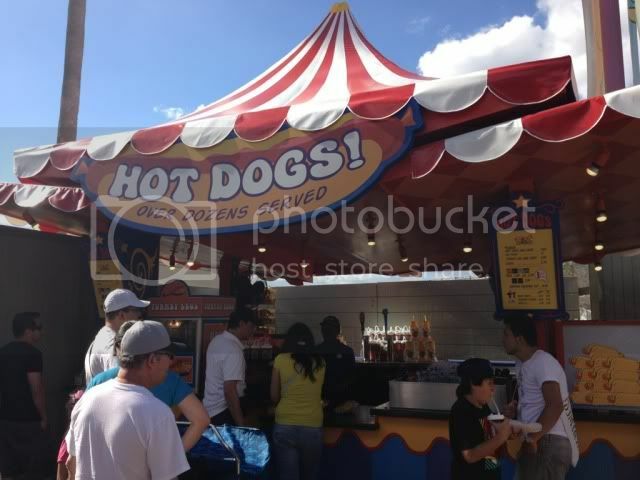 It’s also apparent Universal is theming the area towards a circus-type midway to match the areas existing attraction. 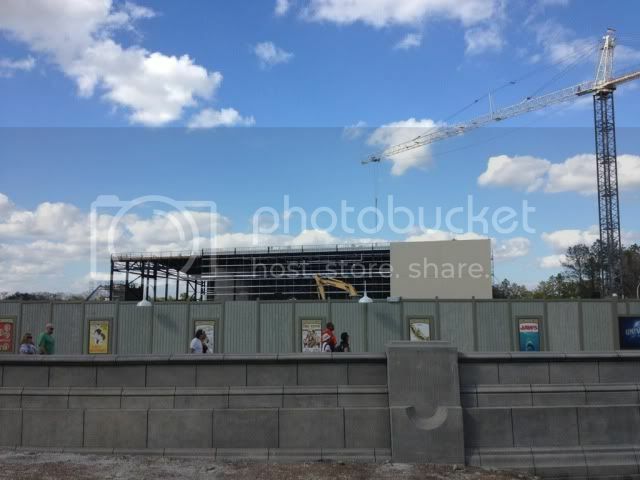 Construction walls are now visible along the lake and next door at the Kwik-E-Mart where a rumored restaurant (possibly Moe’s Tavern) will take shape where guests can get a Krusty Burger. 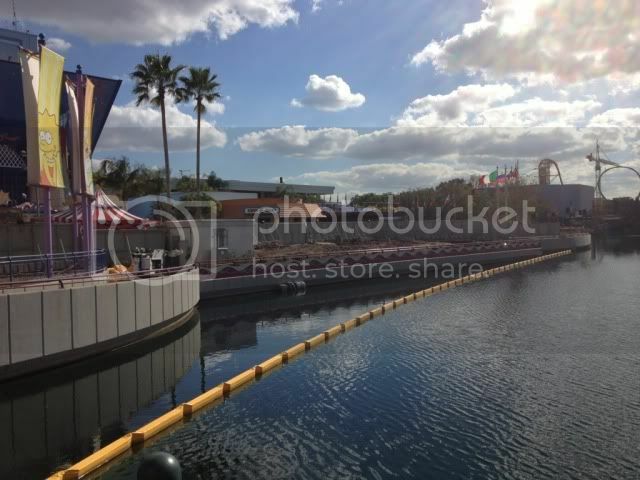 The construction walls along the lake are for a rumored spinner-type attraction. Stay tuned for more information as this projects continues to evolve. Opening this summer at Universal Studios, this major attraction dominates the theme park skyline. Rising about 4 stories in the air the structure now has walls and construction crews are working inside to bring this attraction to life. 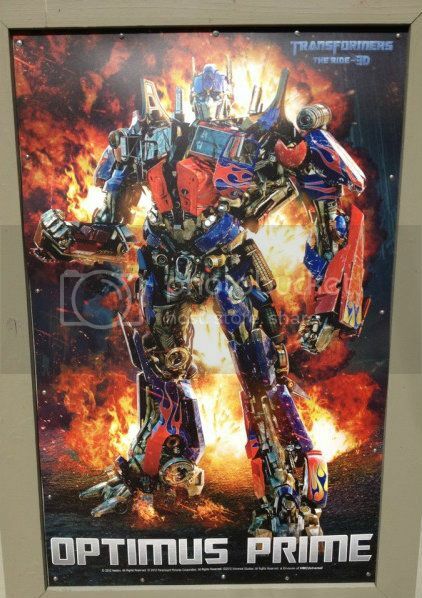 The wildly popular attraction already thrilling guests at Universal Studios Hollywood and Singapore brings the intergalactic battle between the Autobots and Decepticons to Universal Orlando. 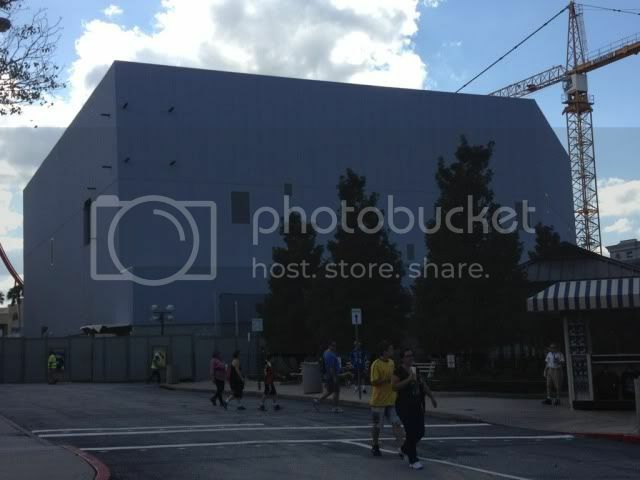 Construction walls around the building showcase the various Transformer characters you’ll see inside the attraction like Bumble Bee and Optimus Prime. 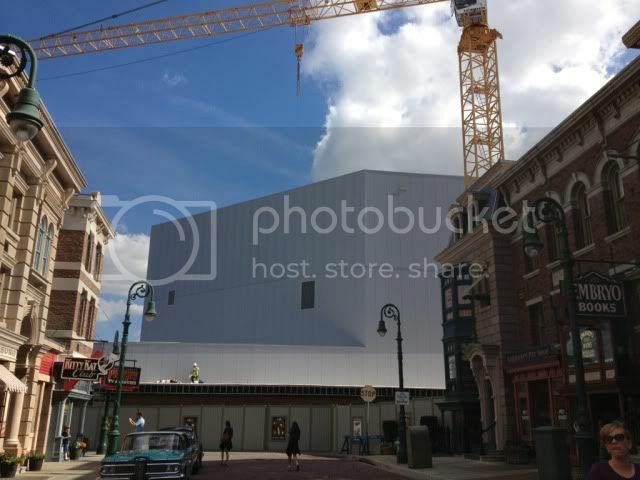 This attraction is sure to be extremely popular and one of the best inside Universal Studios when it opens this summer. 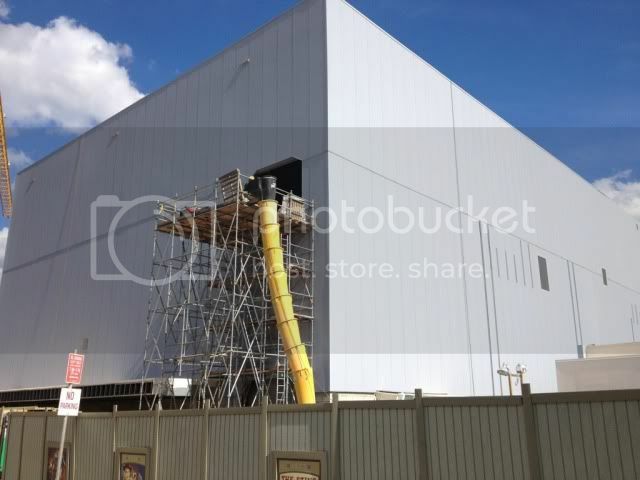 The area once occupied by Amityville inside Universal Studios is now a huge construction site where we will see a new Harry Potter section rise and come to life. In fact, it’s already started to rise. 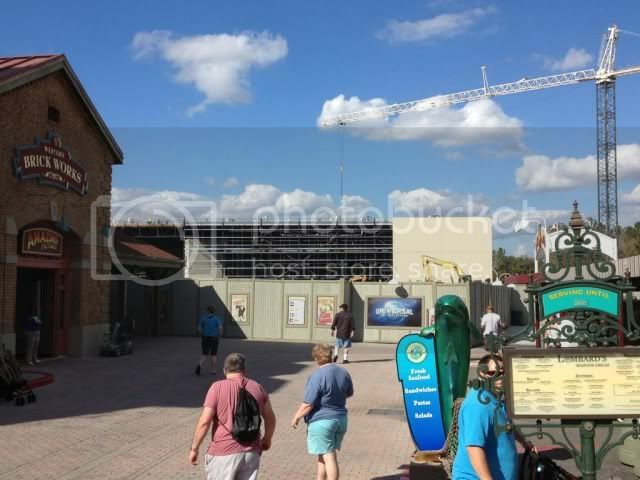 A giant building and some foundation work is now visible behind the long, winding construction walls. 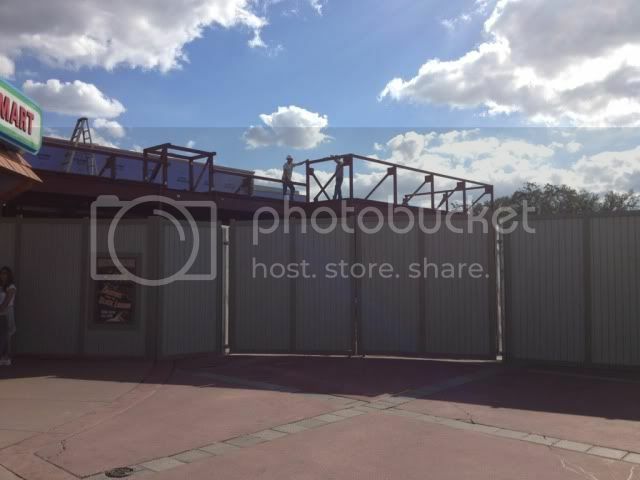 Reports suggest coaster-style track going into the building that will house a new attraction. It’s also speculated the Hogwarts Express will transport guests to Islands of Adventure where the existing portion of the Wizarding World of Harry Potter is already active and in place. Rumors also suggest a dining establishment will rise when the project is complete. Although Universal has not officially announced the expansion we anticipate it will come in the near future. Cranes, bulldozers, and construction crews are busy clearing land and working on Universal Orlando’s fourth on-site resort hotel. The Cabana Bay Beach Resort will sit at the site near Hollywood Way and Turkey Lake Road and likely provide resort guests with water taxi transportation to Universal Citywalk and the theme parks. The resort will be home to 900 family suites that can sleep up to 6 and 900 standard rooms that can accommodate 4. The resort is expected to be more moderately priced than the 3 existing on-site resort hotels, but Universal Orlando has said on-site benefits may be reduced or altered for guests who are staying at this property. Stay tuned for more information as Universal makes additional announcements in the future. If juggling four major projects wasn’t enough we are now hearing rumors of a substantial revitalization of the Jurassic Park section of Islands of Adventure. This is still a rumor but we are hearing word of a mine-type roller coaster, a dark ride similar to the lab ride and DNA scenes in the original movie, an expansion to Camp Jurassic, an update to the lands existing Jurassic Park River Adventure, and additional food and beverage outlets. Rumors also suggest the revitalization will be completed by mid-2014; however, we feel that timeline may be aggressive considering the number of projects already occurring on property. Although, mid-2014 would coincide with the release of the new Jurassic Park 4 movie scheduled to hit theaters on June 13th, 2014. Stay tuned as more information about this rumor becomes available. That’s all for now! We’ll have more news and rumors in the very near future. With all of the construction and rumor activity at Universal Orlando 2013 is sure to be a year full of excitement and major announcements. I love that you put the Minion dancers at the end of this post. 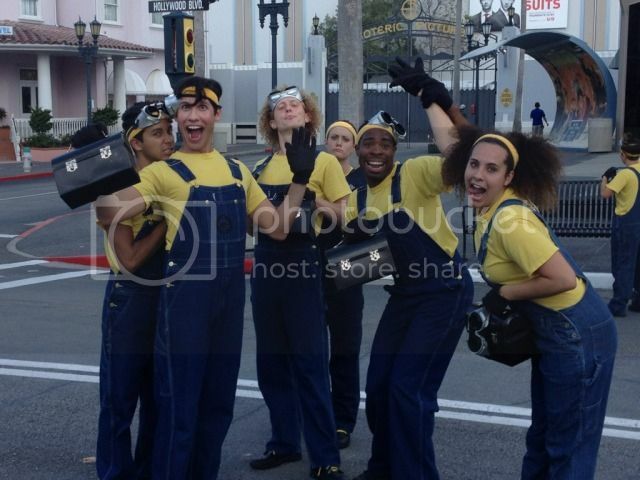 They are my favorite dance crew at Universal. « Disneyland 101 – We’re Going to Disneyland!